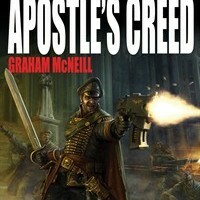 A story of the Apostles, the Sabbat Worlds’ most elite fighter pilots. On the world of Amedeo, Chaos fliers appear as if from nowhere, inflicting grievous casualties and disappearing without a trace. Imperial tacticians are convinced that there is a hidden enemy base in friendly territory, but it remains elusive. Outnumbered, outgunned and outmanoeuvred, the Apostles must find the enemy stronghold and destroy it before the war on Amedeo is lost. I’ve been a big fan of the Gaunt’s Ghosts books for a long time. I liked First and Only, I liked Ghostmaker, but I frikkin’ loved Necropolis. 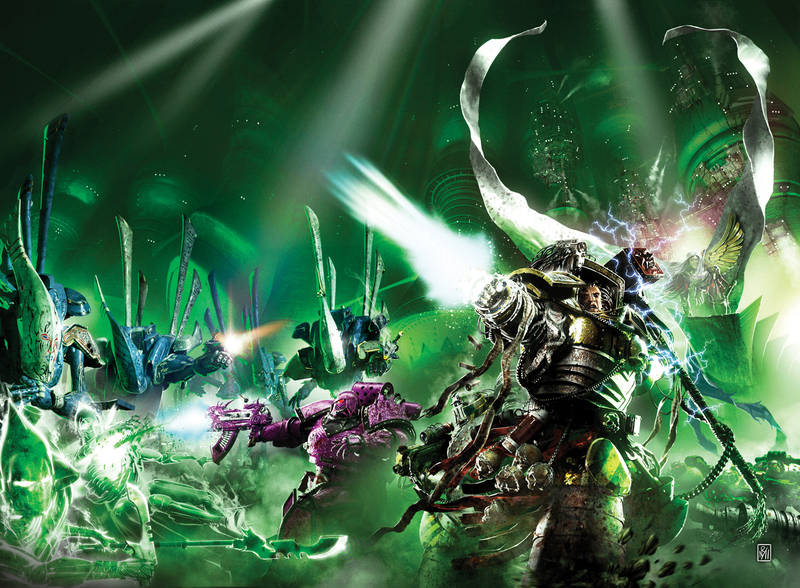 I’ve pestered Black Library each time a new Ghosts book comes out to get a pre-release copy, and have eaten up the series as its progressed. As most of you will know, Dan had a bout with epilepsy a few years back that tried its damndest to beat him, but which was thankfully no match for his fething fortitude. In the time Dan was wrestling the beast to its knees, a slot approached in the Black Library schedule that would normally be filled with a Gaunt’s Ghosts novel. At the time it was impossible for Dan to fill that spot, so the idea was mooted that there be a series of short stories written by the other writers for a Sabbat Worlds anthology. The scope of the Ghosts’ world was certainly large enough for others to tell stories and not tread on Dan’s toes. With all the choice of regiments and characters around, the area I was most interested in was aerial combat – an arena Dan had covered brilliantly in Double Eagle. Now, I’ll admit that when I first read that book I wasn’t a huge fan of it. Yeah, it was written as consummately as always, but something about it just didn’t gel with what I’d expected. But having read it again just before news of our collaboration on the anthology came up, I recognised just how good it was and, unburdened by expectations of the story I thought I was going to get, I relished the story I did get. Aerial combat is a flavour of war-story-writing I’d always loved, but haven’t had a chance to properly explore (though there was a little in Warriors of Ultramar). I knew Dan had plans to return to the Phantine flyers, so I left them alone. The guys I was really interested in were the Apostles, the elite flyers who’d taken to the skies of Enothis with aplomb. Larice Asche had always been my favourite character in Double Eagle. Sassy, full of attitude, and cocky as hell. As a new recruit to the Apostles, she was always going to be a good way in, a way to see them with the eyes of a newcomer. Her presence also allowed me to show her change of character, a rapid transformation from fellow-flyer to hard and cold warrior in isolation. That was an interesting arc to follow, taking the camaraderie that exists between fellow warriors and throwing it aside when the odds of the person next to you surviving drop to almost nil. After all, what’s the point in making friends with a dead man? Of course, that’s kind of the point, and kind of why the bonds between soldiers are so strong. But that’s not the Apostle’s Creed. And to survive, Larice had to learn that fast. And if the chance to tell more stories of the Apostles ever comes up, I’ll be only too happy to strap back into the cockpit with Larice.